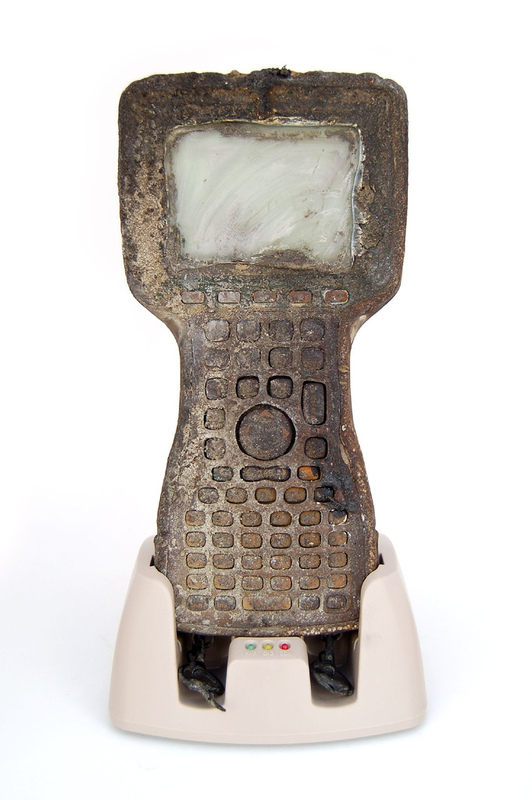 Juniper Systems’ handhelds are designed to handle the harshest environments with complete protection against dust and water, impressive impact resistance, and high tolerances for extreme temperatures, yet there are certain unexpected risks that just come along with the job. 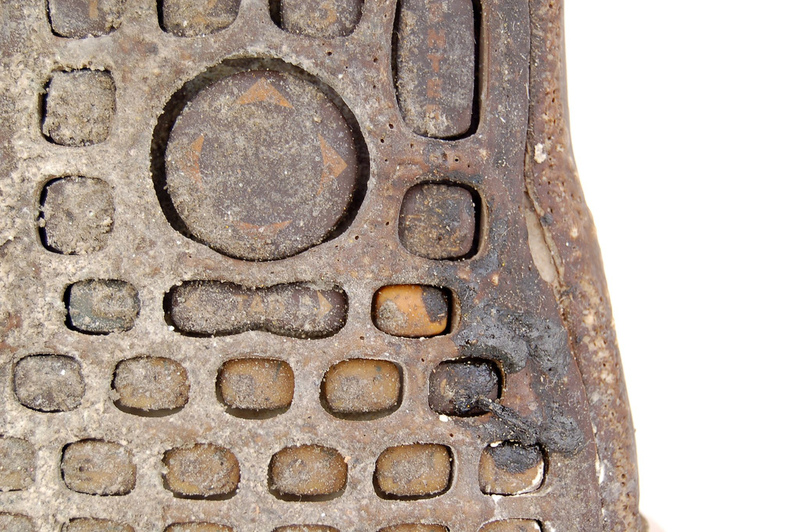 Rugged handhelds face hazards like heavy machinery, dangerous terrain, and sometimes even playful dogs looking for a chew toy (and there really is no certification that protects against puppy chewing). 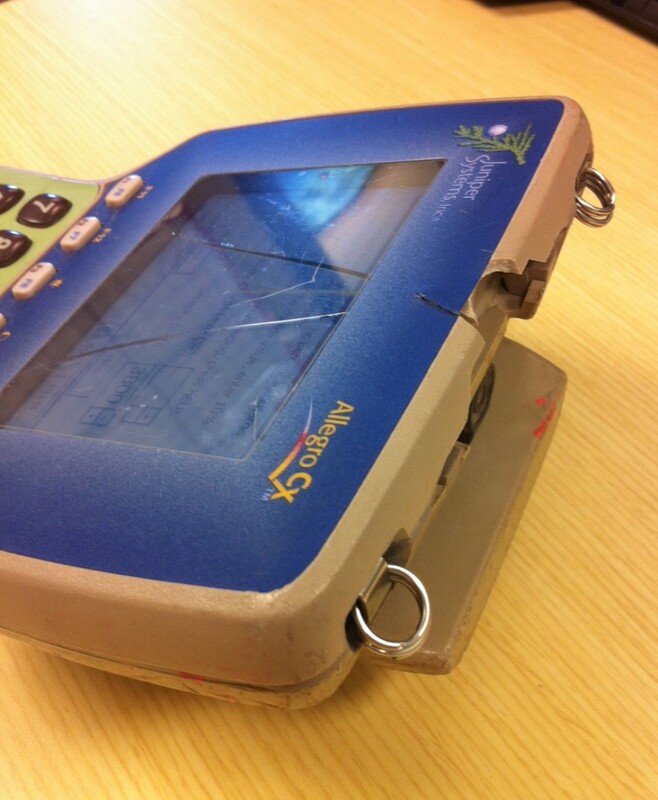 So just for fun, I wanted to share a few photos of handhelds that really took one for the team, going above and beyond in the most extreme of extreme circumstances to protect the data they contained. This Allegro was also exposed to fire, but not quite as badly as the last one. 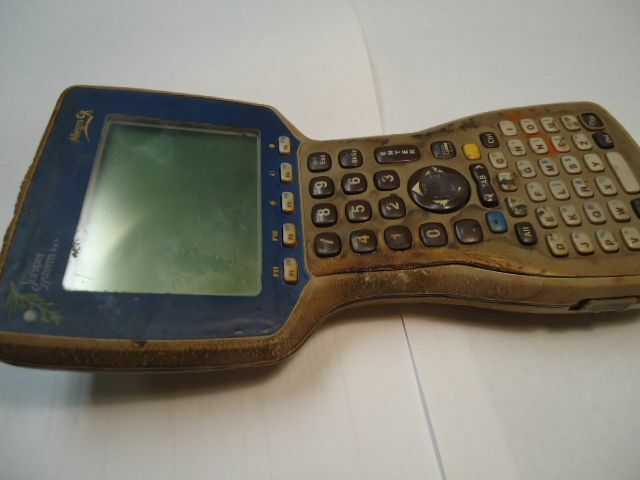 Rather, this handheld was left on the shoulder of a highway across from a car accident, where a vehicle burst into flame. This handheld’s owner was quite a hero as well, saving a woman and her baby from the burning truck. You can read more about that story here. Even after being partially melted, this Allegro still worked! 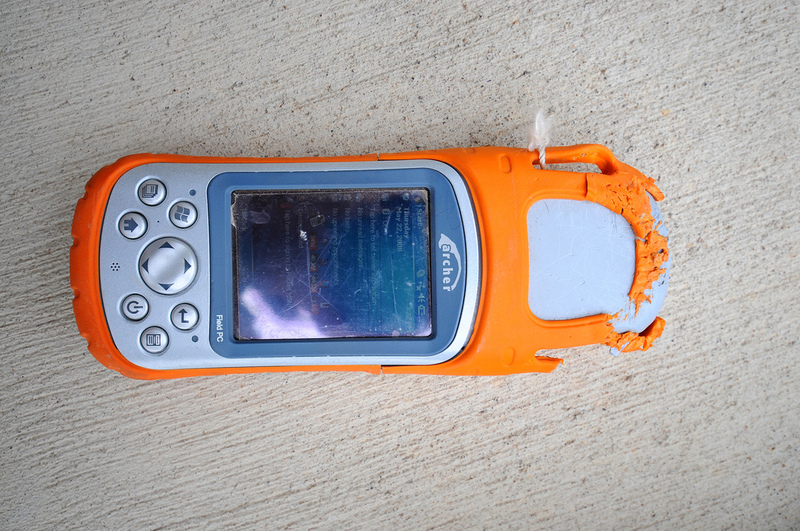 This Archer® Field PC became the chew toy of this lovable pooch. As you can see, it still runs, although it needed a bit of a facelift after the incident. And this Allegro (what is it with Allegro users??) was inadvertently chopped by a machete. Still worked too, I might add. And believe it or not, this is actually the third Allegro we’ve repaired that had sustained machete-blade injuries! Apparently Allegro users lead a high-risk lifestyle? An Archer with a cracked screen, due to a horse-kick (the user claimed it saved his life). See that story here. And others. I don’t think it can be argued that rugged handheld users work in extreme conditions, and really do need a handheld that’s tough enough to hack it. Juniper Systems also has conveniently-placed service centers all over the world to get your handheld back in working order should something unexpected—like in the cases above—happen. As a FYI: our newest service center, Juniper Systems, Ltd., recently opened in the UK to serve customers in Europe, the Middle East, and Africa. 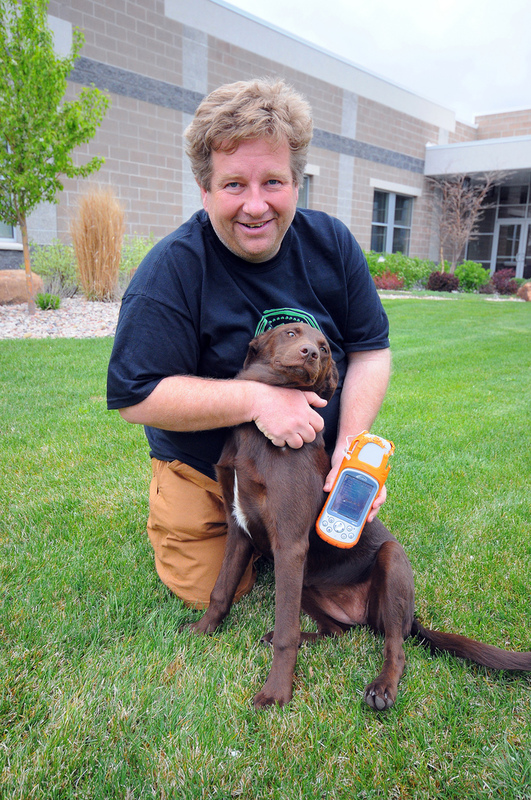 To learn more about Juniper Systems’ rugged handhelds, click here. Do you work in an extreme environment? Tell us about it below.